Ragnarok Online / Ragnarok 2 Crossover Point Promotion Event! A Nightmare on Prontera Street has brought the Ragnarok Online and Ragnarok 2 communities together to fight off a mutual foe. As you explore the entire Ragnarok Online saga this month, enjoy point rewards that can be used in your main game! 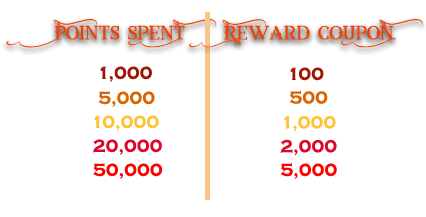 All points spent during the event period will count toward tiers of rewards for Reward Coupons that can be redeemed for bonus points! Each Reward Coupon will be issued once per account, and Coupon Codes expire one month from delivery date.